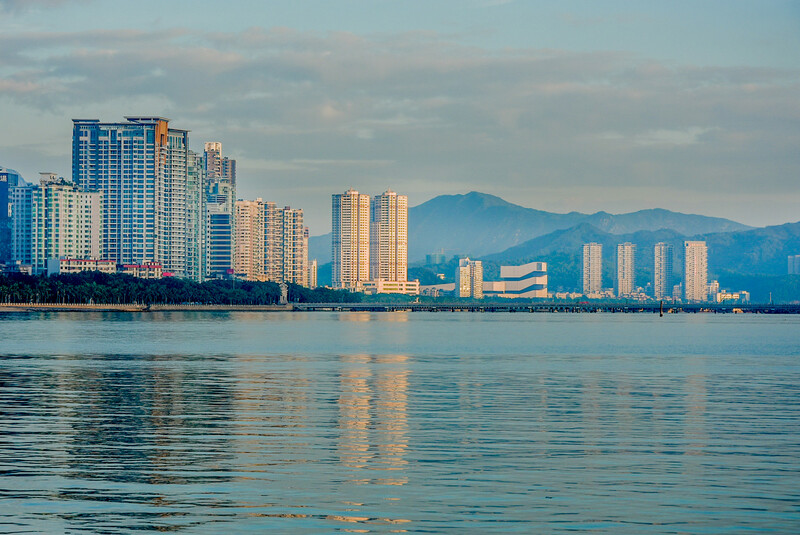 Known for its vast archipelago, the beautiful city of Zhuhai lies on the southern end of the Pearl River Delta in the Guangdong Province, China. It has 146 lovely little islands covered with greenery and beautiful white sands surrounded by the clean sea waters. 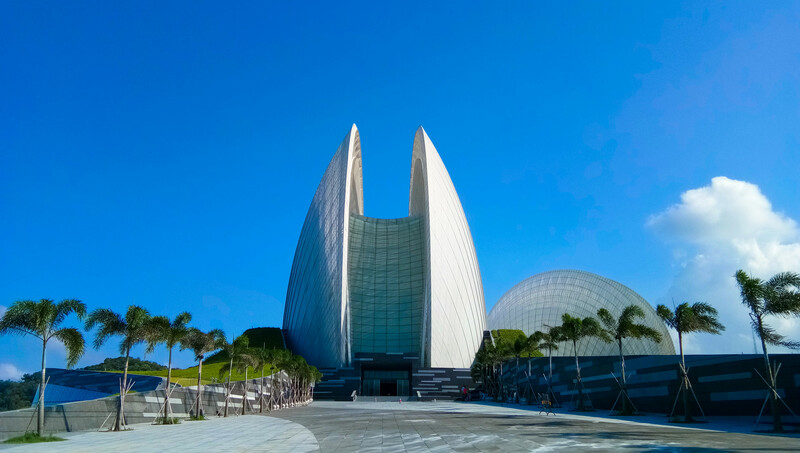 Being just a ferry ride from Macau and Hong Kong across the sea, the city of Zhuhai is usually a part of the combined tourist circuit. It has become a popular tourist destination not only for its beaches and islands but also for its wonderful ecosystem and lush greenery. 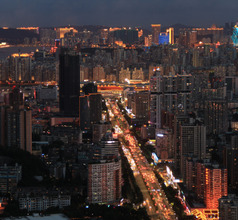 Evidence shows that Zhuhai City had human settlements even during the Neolithic Age. 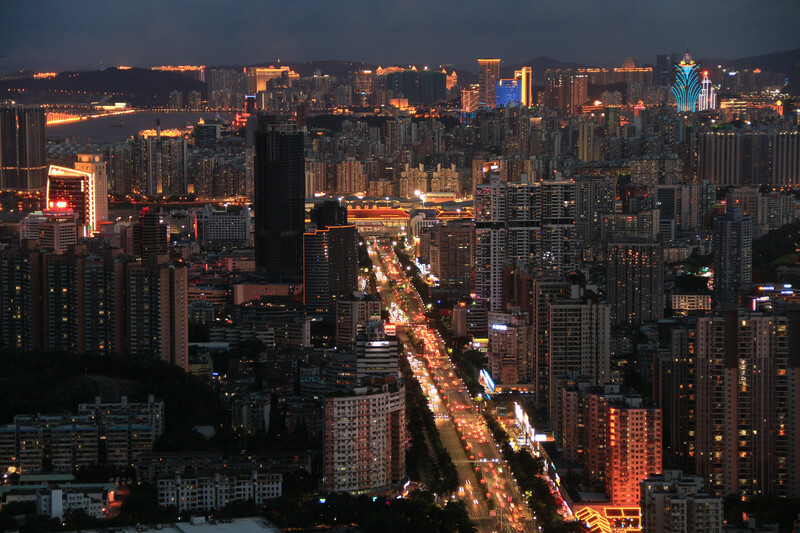 Much later, during the Qin Dynasty era, the city became a powerful administrative hub for the Imperial government. Over the centuries, the city has seen nothing but progress and prosperity. 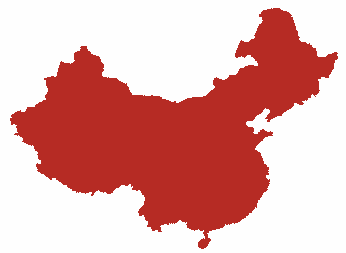 In 1980, the Communist government even declared it a special economic zone which has encouraged foreign direct investment. This has led to rapid urbanization, development of infrastructure, and a spurt in the tourism and hospitality sectors. 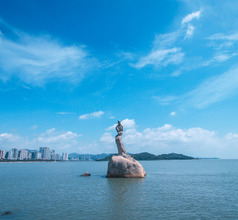 Zhuhai City is a part of the regular tourist circuit like other coastal cities of Guangdong Province. Hence, there is no shortage of choices in accommodation. There are places that meet different likings and budgets. One can selection any type from 2, 3, 4, and 5-star hotels, upscale beach resorts, apartment-style accommodation, budget hotels, inns, etc. The upscale hotels and resorts have great ambience, spacious rooms, and in-house restaurants serving both Chinese and Western-style meals. They also provide 24x7 amenities like laundry, housekeeping, in-room dining, customized sightseeing tours, etc. The smaller hotels and lodgings have only the basic amenities but the premises usually have clean rooms. 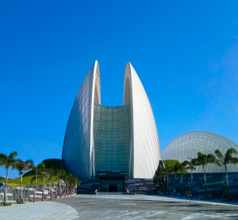 The major advancement in tourism has brought many of Zhuhai City’s attractions into prominence which was otherwise unknown to most westerners. Some of the attractions are noteworthy landmarks that must be seen to appreciate their beauty. 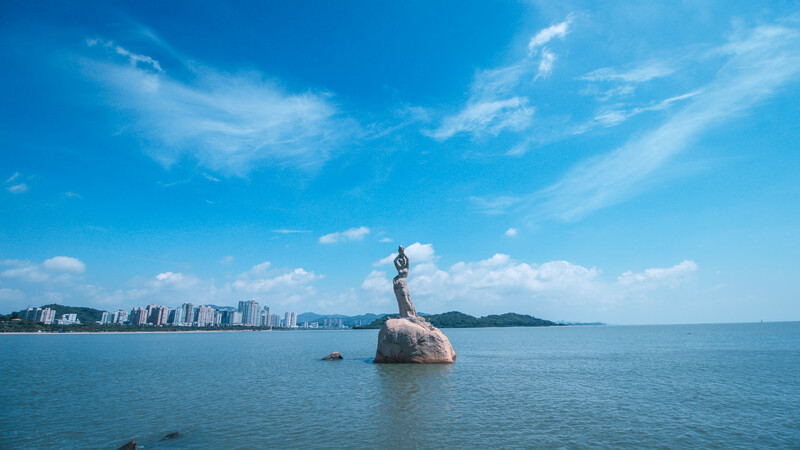 The city of Zhuhai can be identified by the Statue of Fishing Girl which is located on stone stairs in the Xianglu Bay. This 8.7-meters tall statue is made up of 70 granite pieces and is the landmark of the city. The Fishing Girl appears to hold a large pearl aloft with her hands. Over the shoulders of the Fishing Girl, the beautiful skyline of Macau Island can be seen. Tourists are permitted to take a ferry ride across the bay and visit Macau. An architectural beauty in the Zhuhai City is the New Yuanming Palace. 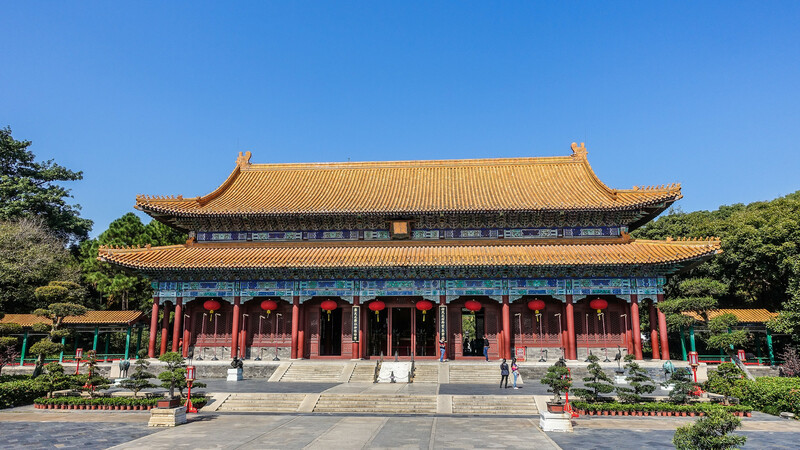 Built in the year 1997, this attraction reproduces the Ming and Qing-style royal summer palaces. 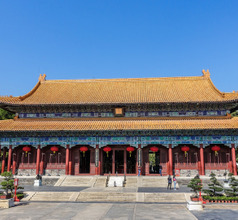 It has 18 scenic areas including the Old Palace area, the Imperial Garden area, the classic Chinese Garden section, and the Western Building section. 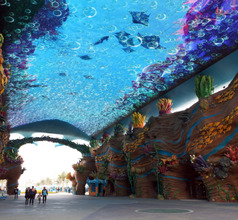 What families with kids would enjoy the most in the city is the Zhuhai Pearl Land. 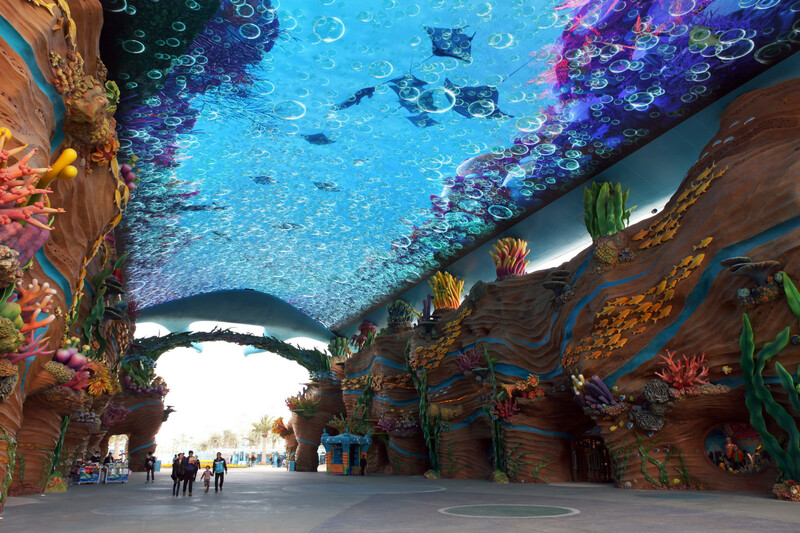 This is a very popular amusement park spread over a vast area of 400,000 square meters. There are thrilling dangerous rides, roller coasters, train rides, and other forms of entertainment. 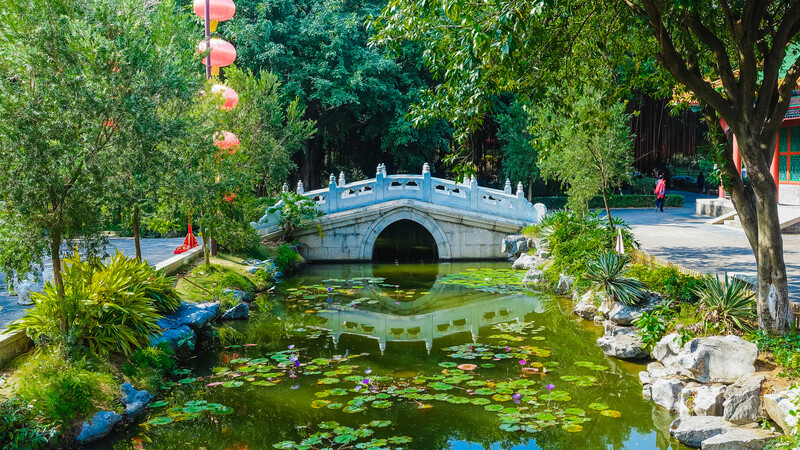 One can spend the entire day at the park because there are plenty of fast food outlets, Chinese restaurants, western restaurants, and other facilities for the convenience of tourists. At weekends and Chinese holidays, special entertainment programs are arranged on the two outdoor stages. 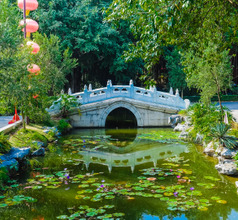 Other attractions in and around Zhuhai City include the Agricultural Scientific Academy, Jiuzhou City Scenic area, Meixi Royal Stone Archways, Huangyang Mountain, and Baiteng Lake. Additionally, there are several charming islands that are worth visiting like Dong'ao Island, Hebao Island, Gaolan Island, Qi'ao Island, etc. Zhuhai Jinwan Airport in Guangdong, is home to the China International Aviation & Aerospace Exhibition, held once every 2 years. The airport has all modern amenities and is undergoing upgrade. Currently, it serves more than 20 routes across China through most carriers. 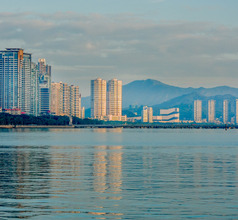 Access to downtown Zhuhai, 50 kms away, is possible through Airport shuttles 1-5 (RMB15-30) and local bus 207 and 504 (RMB2-5). Taxis are available every time, charge RMB130 plus and takes an hour. The local food of Zhuhai City is typically Cantonese with which most westerners are familiar. Being a coastal city, seafood is a popular item. The night food streets are the best places to try out the local delicacies. The streets are full of locals, domestic tourists, and overseas visitors who come out to try out the local cuisine. Some of the famous dishes of the city are Zhuhai roasted pigeon, roast pig, Hengqin oysters, abalone cooked like a peacock, Deishi rock oysters of Yinkeng, Baiteng lotus roots, Doumen peeler crabs, Wanshan prawns, etc.